Being Proud 2 Be Us: something we can all agree on! The morning before, I’d hopped on a plane with my mom to begin our journey to Tampa, where I would be speaking at the Proud2bme Teen Summit of the National Eating Disorder Association. After two sleepy flights, we were picked up by an enthusiastic driver who was raised in Brooklyn. When we explained why we were in Florida, he told us all about his cousin who was recovering from bulimia, how he thinks the most important thing is to be yourself, and how he used to beat up all the bullies in school who picked on the kids who couldn’t stand up for themselves. My mom and I have some pretty cool memories of drivers who have told us about their lives, during an hour-or-so commute from the airport to hotel. They always make me so happy. This guy was a New Yorker, Fox News-lover, baseball enthusiast, and he couldn’t be any more different from my mom and I. But when we brought up the subjects of eating disorders and photoshopped models, he could’t stop talking. And I couldn’t stop agreeing. It made me realize just how much of an affect these issues have on literally everybody. It left me feeling kind of inspired. The National Eating Disorder conference was going on at the same time, at our hotel. I was able to slip into a social that was going on downstairs. We weaved through people holding cups and snacking on food, and I was introduced to about a million people who shook my hand and told me how happy they were that I was here. Two singers called the Falk Girls were strumming guitars and singing softly into microphones, about their own struggles. There were men and women of all ages there–over 500 people at the NEDA conference all together! And the feeling that had begun in the backseat of our car grew bigger and bigger inside of me. So on October 13th, after months of preparation, we arrived at the Summit. I met a bunch of amazing people, including Sarah Ziff, who created the Model Alliance, Roy Cui, a professional photo retoucher, Lindy West, a writer for Jezebel, and Gabi from GABIFRESH. They were all on the panel that followed my talk, and they made me feel really inspired. 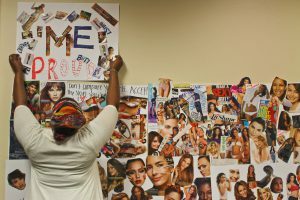 After listening to the stories and ideas that everyone was sharing, the girls split into several different rooms, and enthusiastically completed a number of different workshops. 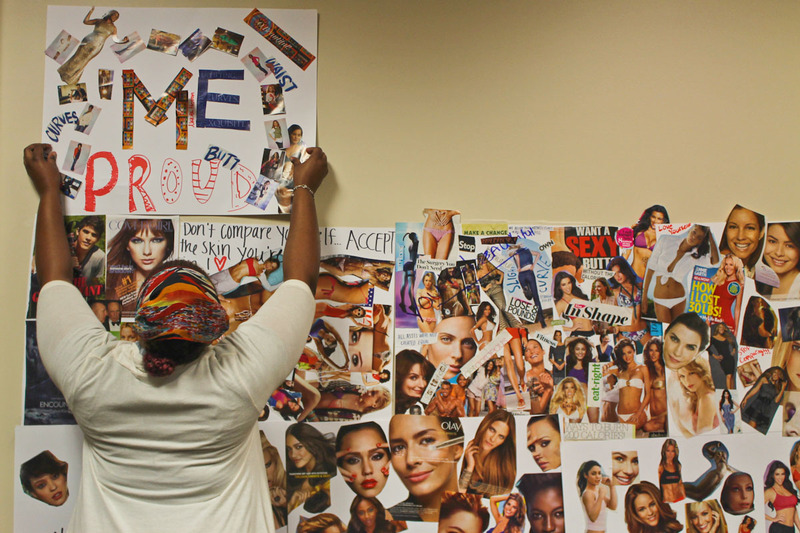 We cut up pictures from magazines and posed in front of a wall covered with the media’s unreachable standards, and we covered another wall with compliments that weren’t appearance-based. Roy Cui gave a presentation where he showed us just how quick and easy it is to retouch a photo, and how to tell if a picture is photoshopped. Are there are no bags or creases under her eyes at all? She’s been retouched. No skin sticks out when she presses her arm to her side? She’s been retouched, too. No pores? Certainly retouched. 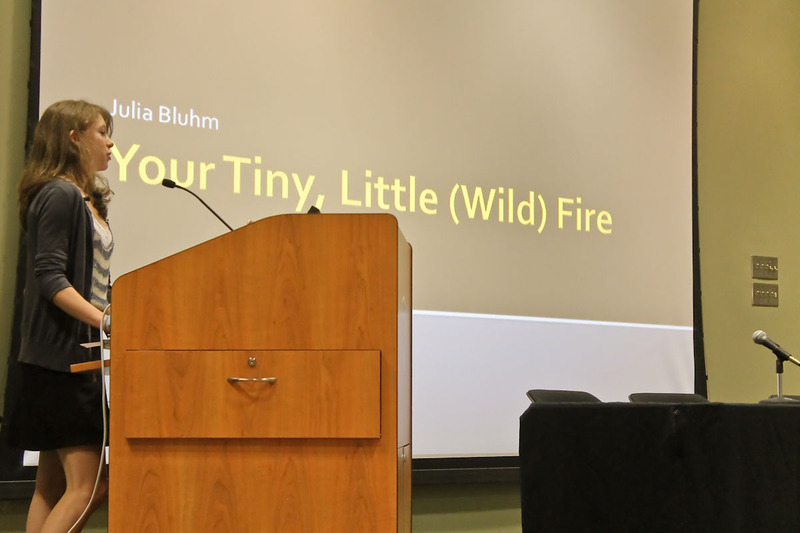 After a number of great activities, we closed with a song and inspiring speech from Jenni Schaefer, the author of My Life Without ED. At the end of the Summit when I watched all of the girls leave, whether they were crying, or smiling, or walking confidently, that same feeling that I’d experienced before erupted inside of me. And it wasn’t until later that night when I realized what that feeling really was, when my mom and I walked into an ice cream store, and two men enthusiastically encouraged us to buy “the best ice cream in the world, I swear it’s the best thing you will ever eat!” (It was pretty good.) When we were leaving, I heard those two men talking about where they had just been…the NEDA conference that was happening at my hotel. These issues affect everyone. Literally everyone. A lot of times activism and feminism has to do with arguing, and disagreeing, which is good because it means we are standing up for what we believe in. But it’s refreshing to see that there are some things that are so important that we all agree on: loving our bodies, minds, and selves, and encouraging our sisters and daughters and cousins to love their bodies, minds, and selves, too. I felt like I was part of a giant group, but a group even bigger then SPARK or even everyone who was at the NEDA conference. When I left Florida, I not only felt proud to be me, but feeling proud to be included with everyone else, too.